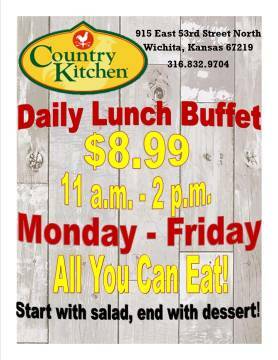 Come into the Country Kitchen for all your favorite comfort foods! We have great nightly specials! Dinner specials start at 5 p.m. until close. Join us for our Catfish Buffet every Friday night 5pm-9pm. 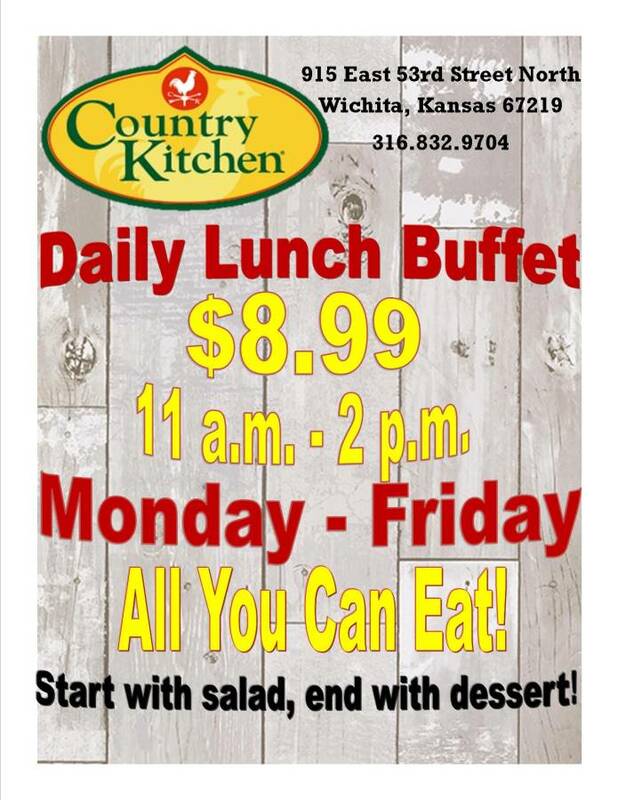 Menu is always changing, but we can promise you our delicious catfish and fried chicken are always on the buffet! Plus you get salad bar and dessert bar too! Every third Friday of the Month, we have CRAB LEGS on our Catfish Buffet. The buffet is from 5pm-9pm! It comes with salad bar and dessert bar! Call 316-832-9704 for more information! Reservations are Highly Recommended. Limited Walkin Availability. Our fair is featuring a wide variety of vendors! 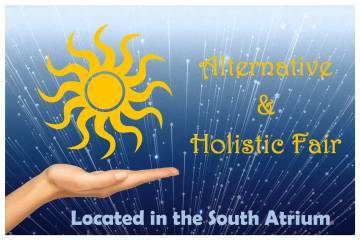 From massages, essential oils, crystals, stones, healers, readers and much more! Come join us for a relaxing and enjoyable weekend! For more information and contact, please go to the event page.